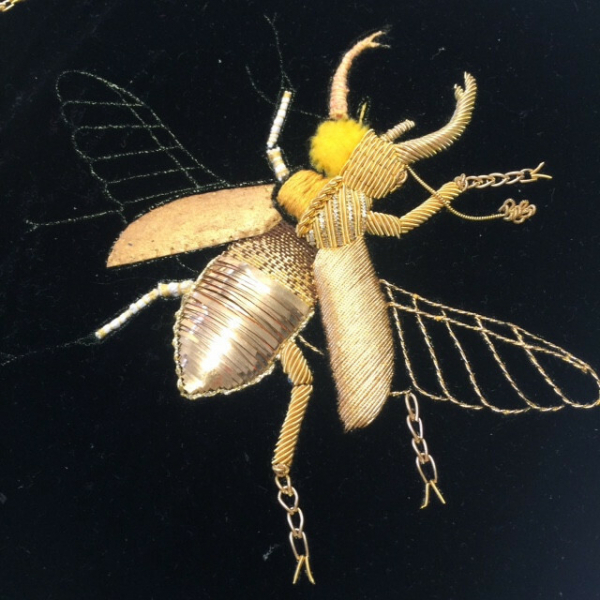 This course is perfect for those who have completed the Goldwork Beginners Course and would like to take their work to the next level. With such a wide variety of techniques within this speciality, the Goldwork Intermediate course will focus primarily on cut-work and develop you skills in various techniques within this wonderfully versatile skill. 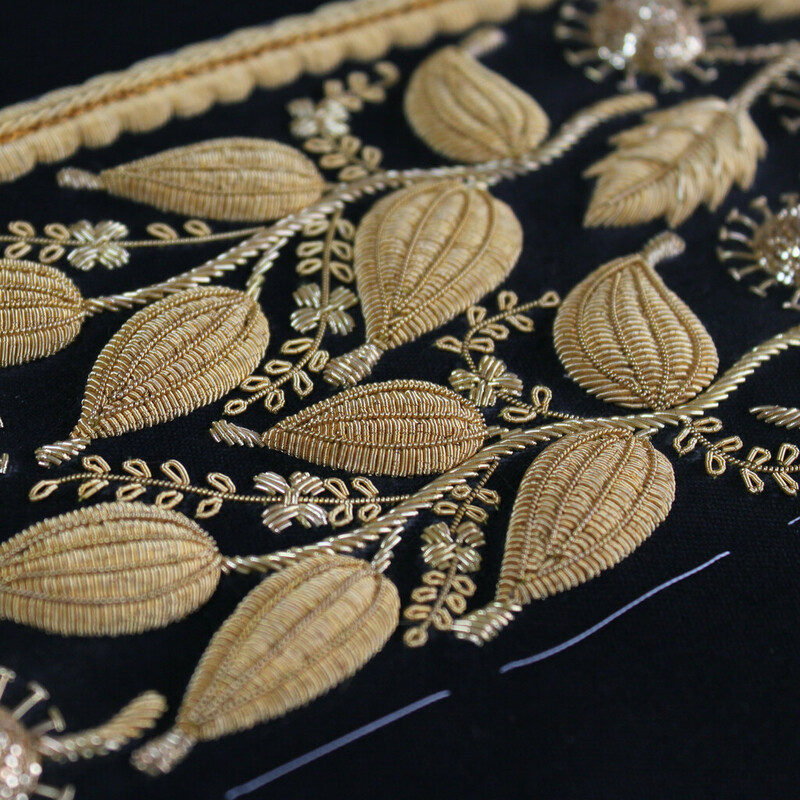 Mainly focussing on the most popular of goldwork techniques this course will teach you a huge variety of stitches to use within your work. With a little recap on the cutwork techniques from the beginners class, the course then moves on to more advanced stitches. 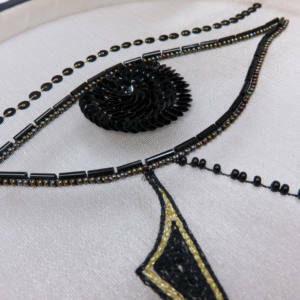 The initial part of this course will focus on stitch direction, length and consistency, the most essential part of cutwork and then will more on to more creative textures and skills ! Cutwork over string and burden stitches are a wonderful way to vary texture and the course will show you these extremely flexible techniques. Developing your skill in raising to then show how it can be hidden and exposed to create new and exciting textures. 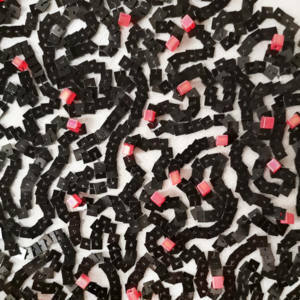 This course will slowly develop a more creative process which you will then be able to experiment with given your new found skills! 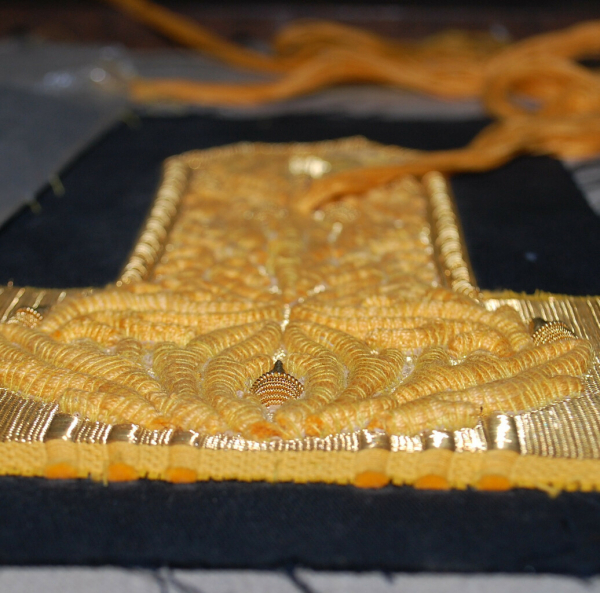 After experimenting with raising this course will should you some more graphic stitches. Loop and daisy stitches, french and other knots in make for wonderfully fun textures or graphic details. 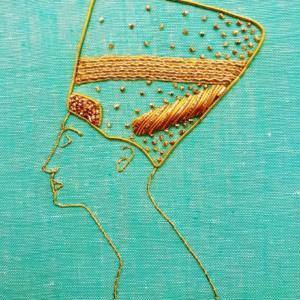 This part of the course will also include some stitches from our goldwork archive. If you are booking as a pair, group or through your university or college then you may be entitled to our discounted price of £474 for the course without equipment. 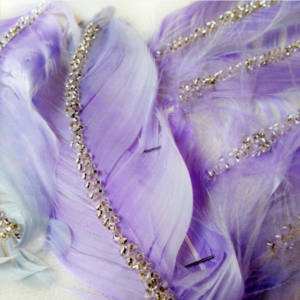 To make a pair, group or student booking please email info@londonembroideryschool.com or call 0207 637 5736.